At one time or other, you’ve probably heard “The Dash”, a poem by Linda Ellis. The poem reminds us that we are not just our Date of Birth – Date of Death, but that the dash in-between that beginning and end tell our story, that it mattered that we were here. Our staff works very hard to honor each person’s “dash”. We understand that it takes many hands and hearts to help facilitate a funeral. The death of a member of the community and the ensuing celeb ration of their life affects others in the community and so we come together, we share our gifts and resources, and we care for each other. We have been blessed with a wealth of people from the Pulaski area who help us to serve you in the best way possible. Pam (Marnocha)Janssen has been a licensed funeral director since 1977 and has served as the firm’s president/owner since 1994. 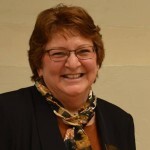 Pam is a Commissioned Minister in the Diocese of Green Bay and carries the responsibility of Adult Faith Formation and RCIA Coordinator at Assumption B.V.M. Parish in Pulaski. She currently serves on the Board of Directors for the Pulaski Community Pantry. Lee Schubert, an Oshkosh native, serves as a licensed funeral director on staff. He is a m ember and current Vice-President of the Pulaski Lions Club. A member of Peace Lutheran Church, Lee occasionally brings his trumpet and takes part in the music ministry. Lee’s wife, Levana (Gray) Schubert, is also a licensed funeral director and currently serves as the Secretary of the Pulaski Lions Club. Levana and Lee were married on September 5, 2014. Lee and Levana are the proud ‘dog parents’ of Winston, an English bulldog. Pam’s dad, Mike Marnocha, is also on staff as a licensed funeral director. He is semi-retired but is always willing to come in and give us a hand. He also drives the funeral coach (hearse) on a part-time basis. 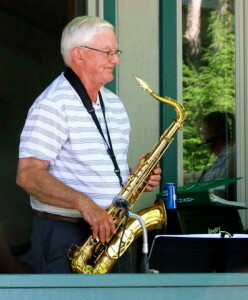 Mike continues to play Sunday afternoon dance jobs with old-time bands around the area. 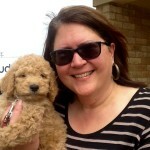 Pulaski native, Diane (Socha) Peters, serves as our Officer Manager. Diane is also our Pre-Need Specialist, assisting Pam, Lee, and Levana with your pre-need questions and solutions. Diane serves as the music minister at Assumption B.V.M. Parish in Pulaski. 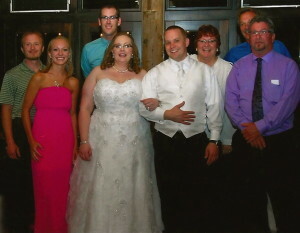 She and her husband, Ray, enjoy spending time with their family, and especially their three grandchildren. 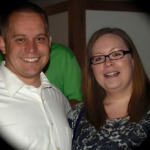 Pam’s brother, Greg Marnocha, is our Funeral Assistant Leader and ‘go-to guy’ for just about anything. 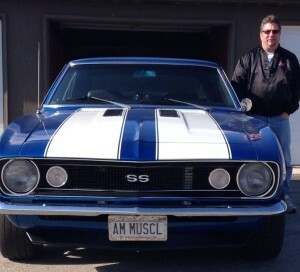 Greg enjoys classic cars… a lot… and is the proud owner of a 1967 Camaro Coupe. He also enjoys music from the 60’s and sitting around a campfire with friends. He loves spending time with his granddaughter. Traci (Johnson) Szymanski (who just might have the brightest smile in the county), Jacob Meyer (apprentice), Mike Stone, Adam Winkler, and Eugene and Janet (Socha) Maroszek, are also available to help us serve you, as our part-time Funeral Assistants. Janet is the Pastoral Minister at Assumption B.V.M., St. Stanislaus, and St. Casimir Parishes, with training and experience as a Leader of Prayer (including funeral services). Joanne Gawrylewski helps us with housekeeping duties inside the building, as does her sister, Karen Krahn. Todd Schmidt keeps the grounds in great shape during the spring, summer, and fall. Jim Mroczkowski makes sure our walks and entryways are clear of snow and ice all winter, Al Christopherson keeps our eaves cleaned of debris and snow/ice, and McKeefry and Sons, Inc. continues to do a great job in keeping the parking lot open for our families and their guests during our long Wisconsin winters. Our staff is committed to working for and with you, in planning the service you desire to memorialize your loved one. We can help you develop a unique service that is reflective of your needs and wishes, and we encourage you to use your imagination — we are here to serve you. For over 80 years, we’ve built our reputation for providing Pulaski’s finest funeral services on our belief that each of our clients is like a member of our own family.